Hunters Estate Agents and Letting Agents Bedminster is made up of five individuals, with a combined experience of over 60 years in the property industry. Having all worked locally for many years the team was formed in 2015 with the hope of bringing a fresh approach to buying and selling residential property within all areas of BS3 from Ashton to Totterdown. Our branch at Hunters Estate Agents and Letting Agents Bedminster offer a personal, helpful, friendly, efficient service along with quality photography, high quality sales brochures inclusive of floorplans and our busy Facebook & Twitter pages are ideal for those who like to keep up to date whilst out and about! 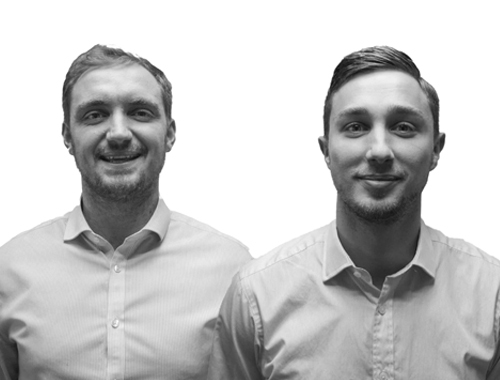 The Hunters Estate Agents and Letting Agents Bedminster team is headed by George Offer and Kalan Smith whose friendship started whilst at school – both starting their estate agency careers at the Fishponds Branch of Hunters. George, Kalan and the team look forward to assisting you with any of your property needs, so why not pop in for a coffee. Hunters Lettings have a dedicated Accounts and Maintenance department, we are here to support each other to ensure the service provided to you as a Landlord or a Tenant during a tenancy runs smoothly. “We had two properties to sell that were on the market with another agent in the area for some time, we called out Adam who advised us on a new marketing plan which worked wonders for us and we went under offer within weeks." "George had the right suggestion to market the property given the condition of it, he suggested an open house which went down a storm, we had a number of viewings which led to multiple offers in the same day. The sale went through swiftly and I was regularly kept up to date with what was going on. I would recommend all the team highly." "I was very pleased with the way my sale was handled by yourselves, I found George and Kalan very helpful and friendly and never made me feel like I was being a nuisance when I contacted them. George also kept me updated on proceedings. The initial meeting went well, my house was presented very well online and attracted many offers. George worked very hard showing so many people around the house, and nothing was out of place when I returned. I would happily recommend your firm." "We found George and the team to be professional courteous helpful and accommodating to our needs. They were excellent communicators always easy to get hold of and always did whatever I asked of them. I've not used an estate agent in a long time before now but I would have no hesitation with recommending the team at Besley Hill East Street." VAT Reg No: 218 3656 02 | Registered No: 09620052 | Registered Office: 165 East Street, Bedminster, Bristol, England, BS3 4EJ. A Hunters franchise owned and operated under licence by OS Property Services Limited.